Download Digital Photo restoration software for deleted raw pictures photos. ...... Cost effective utility easily undelete and unformat digital photos, audio video clips deleted or missed due to any data loss reason from Digital Camera. Advanced digital camera photo recovery utility salvages data easily and quickly from digital camera even when reset operation is performed. 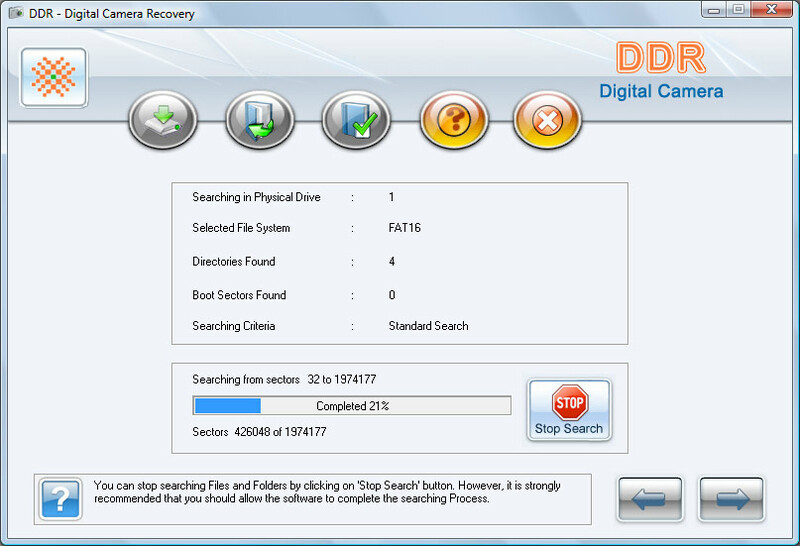 Flexible application allows you to save the recovered pictures and other files at user defined safe location on PC or Laptop-Desktop system. Easy to use program is useful especially for any digital camera owner, since the problem of accidentally deleted or lost digital data is familiar to any photographer or individual. * Allows users to retrieve pictures, images, music files saved in major file formats from Digital Camera. * Provides full functional support to Sony, Olympus, Nikon, Panasonic etc popular digital camera brands. Qweas is providing links to Digital Camera Data Retrieval Software 4.0.1.6 as a courtesy, and makes no representations regarding Digital Camera Data Retrieval Software or any other applications or any information related thereto. Any questions, complaints or claims regarding this application Digital Camera Data Retrieval Software 4.0.1.6 must be directed to the appropriate software vendor. You may click the publisher link of Digital Camera Data Retrieval Software on the top of this page to get more details about the vendor.